In Eric’s original post about the original Dungeon! boardgame, he writes “It’s amazing how well the gameplay lines up with the OSR playstyle.” I’m going to go out on a limb and argue that this is because Dungeon! is where the original assumptions of play were first codified. 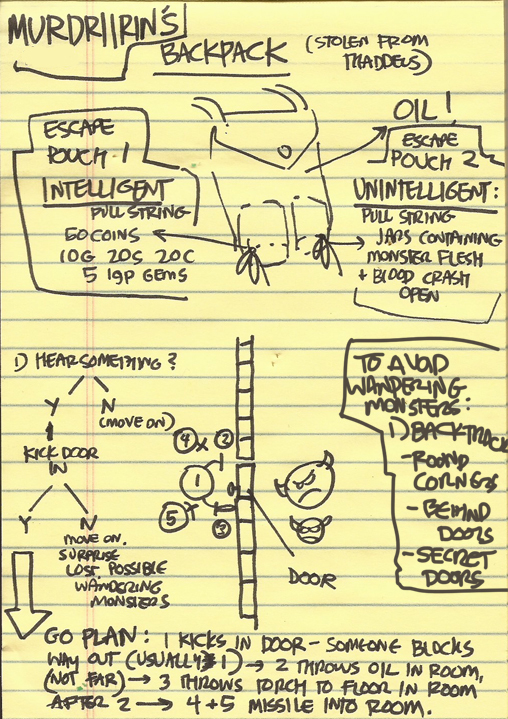 In my first post about Dungeon!, I talked about how the Blackmoor session in which referee Dave Arneson introduced roleplaying’s first dungeon inspired player Dave Megarry to create a boardgame which would systematize the idea of the dungeon as flowchart. At Gary Con IV, Megarry said that he created the prototype of the Dungeon! 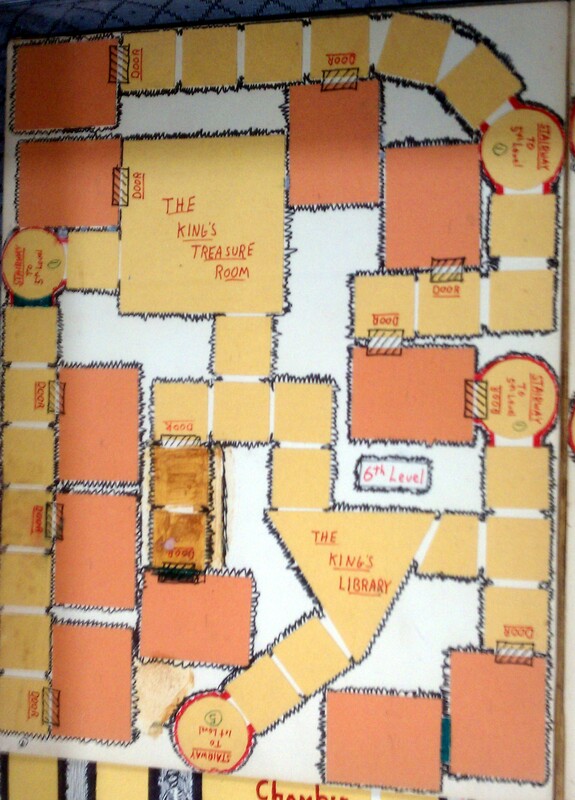 boardgame shown at right over the course of about 72 hours in October of 1973. Most of this time was spent working out the right ratio of monster difficulty to treasure payoff. The Dungeon! board is grouped into six levels, with stairs indicating a change between levels. Each level has its own set of monster and treasure cards. On the sixth level, you may loot the the King’s riches, but fantastic wealth is guarded by equally potent monsters. Working out the appropriate ratio of risk to reward by level was clearly a priority for Megarry. Given that the law & economics of reward incentives is a major focus for Adventurer Conqueror King, causing me to put a ridiculous amount of effort into determining how much treasure different kinds of monsters should have, I feel a great debt to the first person to come to grips with these issues. Playing Dungeon! feels like old-school dungeon crawling because you’re weighing the same risk-reward decisions. For my first character, I played an elf whose ability to move through secret doors would let me quickly zip down to the sixth level, where I hoped to score some game-winning phat loot. Unfortunately I soon found that I needed some magical help to take on the guardians on that level, and was on my way to find some on a more shallow level when I died. For my second character, I wanted to choose a more conservative approach but all the easily-reached low level treasures had been snarfed up by other starting characters, so I couldn’t engage in what players of roguelike games (another branch of Dungeon!’s heritage) call scumming and instead had to dive a little deeper than I might have liked. This kind of thinking was totally natural from playing in the Glantri campaign and elsewhere; it’s one of many ways that Dungeon! crystallizes the experience I know from old-school D&D into a fast-acting nugget of crack. In my next post I’ll talk about another old-school mechanic whose genome I think can be seen in Dungeon! – requiring variable amounts of XP for different classes to advance. 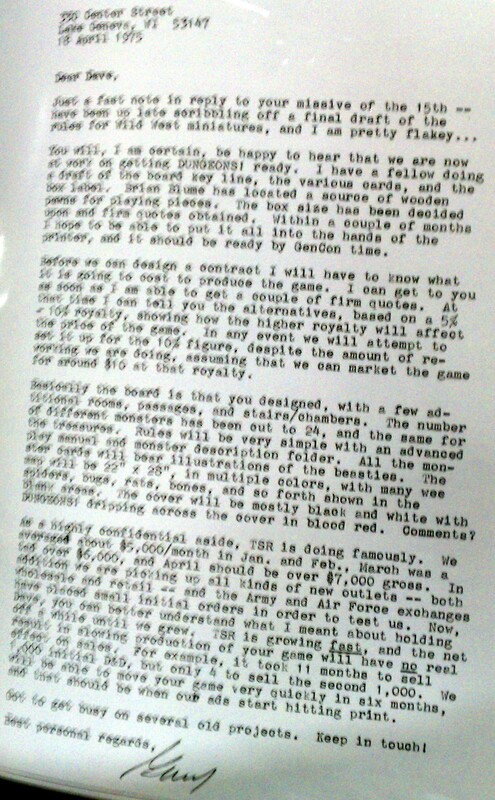 EDIT: As shown in the letter below, Gygax and others added a number of monsters and treasures to each level of the boardgame when it was published by TSR. Doing so would have given him some hands-on experience achieving monster/treasure ratios by level as well. Letters I didn’t take photos of might confirm that this development process began before D&D went to press, in the period when Gygax was shopping the game to Guidon and other publishers. This is all well and good, but how do you make sure to have both edible items and treasure always ready to provide a distraction? The New York Red Box has a solution! Infographic by Scott LeMien, credited to an idea of Thaddeus's. The jars are filled with fresh monster gore when you start, or other animal kill. It is to my great shame that I didn’t think to include this in my section on mundane gear and adventuring kits for Mordenkainen’s Magnificent Emporium. I blame Scott, who should leave these ideas lying around ready to be swiped when I need them, not months later. Folks whose memories span several ages of creation may recall that my friend Nat Sims was a co-founder of Behemoth3, my first venture into RPG publishing. Nat went on to found the successful iPhone app developer Night & Day Studios, and although being its CEO keeps him pretty busy, over the last year I’ve had the pleasure of playing the card-based diplomatic wargame Here I Stand online with him and some members of his extended family. 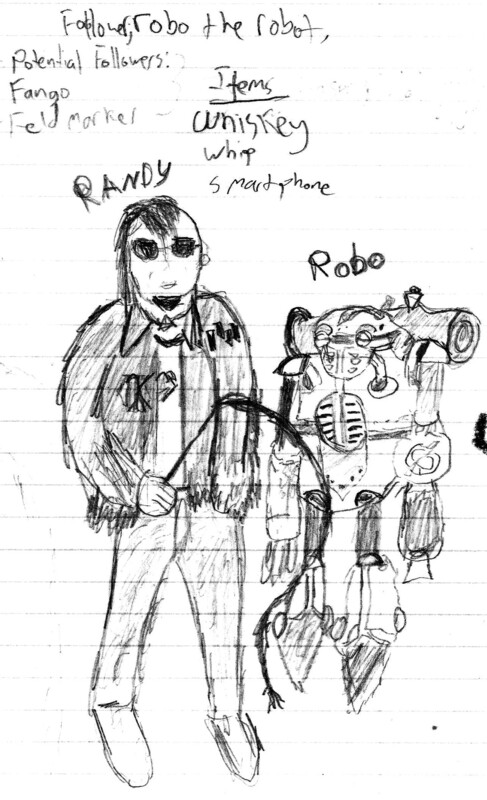 The first cRPG, "The Dungeon" aka PEDIT5, may also be from Champaign-Urbana, written by Reginald "Rusty" Rutherford on a PLATO terminal at the University of Illinois. Click pic to learn more. One of my first experiences on the road to the old-school renaissance was hearing Nat’s stories about playing D&D in the 70s with his parents. His mom was the DM for a group of players mostly made up of his dad’s graduate students in a drama program. What Nat remembered most clearly was impatiently waiting for the “grown-ups” to finish drinking wine and describing what their characters were wearing, hoping that at some point during the night they could kick down another door and kill something. On one visit home, Nat picked up his old D&D stuff including a mimeographed set of rules and one of the dungeons that his mom used. At the time, I thought that the ruleset might have been some draft of proto-D&D; with the wisdom of hindsight I bet it was actually one of the re-typings that were popular at the time as a way to integrate houserules (and avoid buying multiple copies of the expensive D&D “white box”). At some point I’ll tell the story of what Nat & I made of this ’70s dungeon, my first exposure to the wonderful improv challenge of trying to make sense of a funhouse on the fly – and doing it without any help. (It was the ’90s, so the Internet and OGL-based support system on which the old-school brain trust relies was just a glint in Mozilla and GNU’s respective eyes.) What I want to do now, however, is pass on some conversations I’ve had with the creator of that dungeon, Nat’s uncle Mike Metcalf. I’ve been making a point of seeking out all the original D&Ders I can – most recently I met Michael Mornard, who was part of both Arneson’s gaming group in the Twin Cities and Gygax’s in Lake Geneva. I would love to pick your brain about those days! Do you still have any of your old maps and whatnot? I had the 2nd dungeon in Champaign-Urbana in 1974 and went on to be a dungeon master up at Gencon once. My Dungeon stuff is at Nat’s Moms (my sister) who borrowed the stuff once to copy etc. Used that dungeon with the family once and ended up turning my Mother into a zucchini; great fun. I think it is secreted away somewhere in their house. But, I do have stories, experiences and ideas. One of the things Gary Gygax did before Arneson introduced him to proto-D&D was to run a Diplomacy fanzine. It seems to me that part of why he latched onto roleplaying right away – it only took one session of Arneson DMing his Blackmoor game for Gary before he was ready to start DMing it himself (for his kids, the first Lake Geneva players!) using Dave’s fragmentary notes – was that the kind of writing as if you were a historical world leader that we do while playing Here I Stand and that people used to do in diplozines is much like pretending to be an elf. Does this ring true – did you have experience with Diplomacy zines or other correspondence-based kinds of writing-as-if-you-were-someone-else? Or were there “playing in character” aspects of board or wargames that you just brought over to D&D play? The way I got into D&D was that a friend of mine had gone to GenCon and come back with a copy of the rules and a graph paper dungeon (#1 in the area). Pretty basic stuff with a list of main character types and monster types etc. Our group had played ‘Chain-mail’ miniatures and this was a partial take-off on that idea. We just took to it. Easy to get into character. We had already done Diplomacy and, of course, had to play our character-states. As we killed off character after character (never got to the points necessary for a level-2 – hard damned dungeon), we got into a flow. I had the never-ending ‘Botnick’ brothers starting with Coors Botnick, Budweiser Botnick etc (down the list of bad beers). I quickly made a dungeon (2nd in the area) and we played each dungeon in a revolving mode. Didn’t have a ‘zine at the time – just those rules which were modified by each dungeon master as he saw fit. I’ll tell you of my other Dungeon – where I tired of D&D being an open-ended game to one of fixed dimensions (meaning that it would end at some point – no possibility that it could continue). After playing many a dungeon trip in many a dungeon and watching other people with more time (I was in veterinary school) make giant above ground (and below) fantasy realms etc., I realized that I was losing interest in the open-ended role playing genre. Yes, one’s character might eventually be killed off (though rarely after gaining a certain upper-levelness) but things just went on and on. I guess I was too much of a history-based gamer. So, years later, I concocted this idea of a Dungeon. I found 4 other D&D players who were interested. Each players tribe lived on an island having a causeway to the dungeon complex with no outside interaction with any other player/side. The dungeon was finite: geometrically 4-sided with a middle entrance level and one level above and below the middle. I stocked the dungeon with all the requisite treasures; once found and removed – no replacement. Monsters/traps were easier in the middle level and more diificult above/below. As all 4 players and I were in the same room during the game session, I devised some fog-of-war. Each player could enter the dungeon with 9 men (randomized characteristics but possible to improve). Each player thought that their entrance into the dungeon was to their North. In addition, I numbered each room with a color-number that was meaningless to them as to level etc. Each player did a few moves, exploring, fighting, discovering then passing to the next player. This was all being done game-time simultaneously so there was the chance that the parties within the dungeon might meet (and fight) each other was. If one party got to a room previously sacked, they would see the results of the previous visit. Since ‘North’ was different for each player, orientation of other players experiences was very difficult unless they could recognize the area of the dungeon being described. A very enjoyable experience – everyone quite enjoyed it. Got other questions for Champaign-Urbana’s second-ever DM? Let me know and I’ll pass them on! Oh wait, I’m getting ahead of myself. Well actually, it looks like Beedo’s gang did it too, but they had more people involved. In our game of I6: Ravenloft, the four remaining PC’s had found all these curiously specific items of Strahd-slaying, but the best weapon was, of course, a mule to the face. Our Normal Magic-User negotiated with Strahd to return a painting of the vampire’s little girlfriend–and threw a mule (from a robe of many things) through the painting right as Strahd was examining it. “A mule to the face would at least be distracting,” so our Kryptonian Assassin got a backstab with the Sun Sword. I ended up facing the vampire lord for a round or two of single combat, and then Sensible Half-Orc blasted him with a mystic amulet or something. The Ravenloft module was entertainingly and ably run by “Naked Sam” on the Red Box site, and it was a nice change of pace. I think the four players that night all agreed that while we had a fun time, Advanced Dungeons & Dragons 1e was a laughably pretentious game with little to recommend it over LBB, B/X, or BECMI. 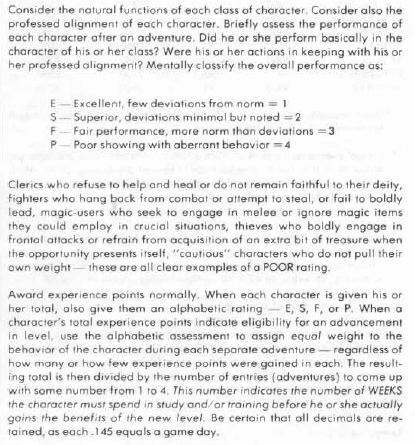 I practically cried reading the “Gaining Experience Levels” section on page 86 of the Dungeon Masters Guide. Forget Strahd: somebody needs to run a stake through Gary Gygax for sucking blood out of gamers with that nonsense. Ugh. the necromancer is dead, so what else is new? A couple days later, I swung by Tavis’s game, where we had the aforementioned Medusa-navigated spaceship crashing into the ghost-colossus to rob teenage lycanthropes having a picnic on pickled robo-dwarf. You know: Tavis’s game. 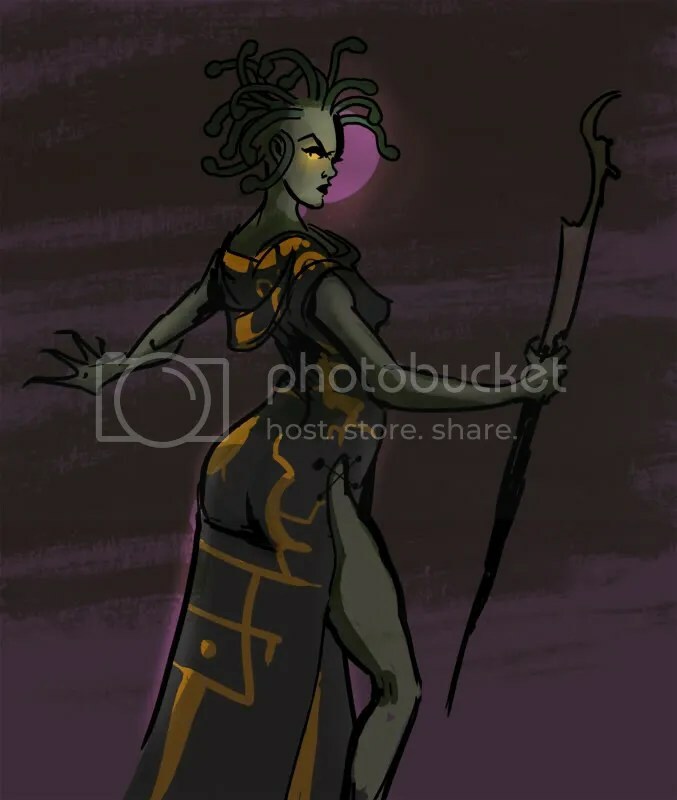 One of our off-screen enemies, going back to the days when I was a regular player, was a necromancer named Ashur-Ram, who keeps Wraiths and Spectres imprisoned inside crystal phials which he throws as grenades. We never have enough priests to turn back these level-draining undead, so we usually gave Ashur-Ram a lot of latitude. Now, it may be my -2 Wisdom modifier talking, or the fact that I was playing a brand-spanking-new character in contrast to guys who had invested for 40 sessions in their toon. But when you have an insanely wealthy necromancer by the throat and you outnumber him 8:1, and he’s already spent some of his best spells, you strangle that fool. And so for once I exploited our consensus-driven process by refusing to give in until everyone else got sick of arguing with me. We killed the necromancer, who had filled us with dread for like 30 sessions, in like 3 rounds. Nobody took damage except for one guy who got drained two levels and who had been staunchly opposed to fighting this guy. (Sorry, dude.) But we are now even more ridiculously wealthy than we had been, and I’m sure fixing the level-drain will be fairly easy. Plus I think some dude got it on with a Sphinx. Both of these episodes are related. Mule to the face! And then super-death. Before we got to Strahd the last time, we fought a Nightmare. The Nightmare put up a better fight. My impression of this fight, and the hit on Ashur-Ram the necromancer, is that the Many versus One fight is really hard to get right in D&D. Either the adversary is going to be way out of your league, in which case you need to run like hell, or it’s a plausible foe at your level in which case the group of you will crush it easily. Furthermore, in order to be taken seriously as a fictional adversary in the world of Dungeons & Dragons, you need to cast spells–which means that you can’t get punched in the face even once if you want to cast, but now there are like 4-8 people surrounding you. The Nightmare alluded to above was pretty much Many versus One (there were some Hellhound minion-types), but the Nightmare had the advantage of an insanely low Armor Class (like -4 or -5) plus an aura of nausea that made it even harder to hit. As a result, the Nightmare could afford to stick around for a while and dish out damage. I realized after leaping onto its back to attempt to tame it that it could run away to some Hell-Plane any time it wished and simply ditch me there, so in trying to avoid its weaker attack I accidentally opened up its special killer move. But Strahd, and the poor Necromancer, didn’t have great defenses (anti-magic would have worked as well) or an infallible yet deadly escape plan. Run like hell. So how do you make the Many versus One fight work? My advice would be: you don’t. Give the Boss Bad Guy a retinue of henchmen, maybe appropriate to the Charisma score, and have them follow the Boss around at all times. (Works for world leaders!) And failing that, no enemy of any brains will stick around to fight on someone else’s terms: if you’re caught at a disadvantage–like, say, eight adventurers crash a spaceship into your bunker and polymorph your Dragon into a flounder–then you retreat, regroup, and get revenge at a time of your choosing. As someone said at the end of the Necromancer caper, by the time the adventurers reach your throne room, you’ve already lost. Extremely intelligent NPC’s should probably auto-fail their morale checks in such circumstances, and should think twice before attempting to negotiate with murder hobo’s for safe passage. It’s hard to say which of those four is the most urgent, though taking care of #1 early hopefully will buy you some time. My thought is that debuffs can wait a bit since players may try to keep tossing them on as the fight progresses. You probably shouldn’t waste time buffing yourself, because (a) it takes up time that you need to spend taking care of other things, and (b) the players will just hit you with a dispel anyway. One helpful trick, though it is sort of unfair: design your throne room in a way that takes care of at least one of these problems for you: maybe you get to drive around in an armor-plated Pope-Mobile or your throne levitates 20 feet off the ground so melee guys can’t reach you. Or there’s 3 feet of sucking mud all over the place which basically cancels out any haste spell, or a constant rain of cinders that inflicts steady damage so casters can’t rely on getting a spell off. Relatedly: divert attention with a MacGuffin, hostage, dead-man switch, or some other strategic necessity so that the players can’t get away with killing you immediately. The problem here is that your distraction probably won’t keep everybody occupied, and things will likely escalate into a very non-standard combat encounter, which favors the players’ hive-mind. I’m uncertain as to the best timing of summoning help, such as from demons or conjuration spells. It’s good to have somebody running around taking the heat off you, but they’re mainly just meat-shields. (I think we summoned 8 Goblins to help us fight the Nightmare. All they did was get in the way, though we did propose a variation on our beloved Baby Armor, namely Goblin Sponge Armor, to ablate the vampire’s attacks. Alas they faded from view before we could get our armorer on the case.) Summoning help costs at least one round, and it’s probably only going to buy you two at best, unless the enemy absolutely must put down your helper. Bringing two Wraiths into the fight sure didn’t help the Necromancer. My short prescription would be something like slow (surprisingly, does not exist in the B/X version of the game! ), confusion, growth of plants, or wall of ice to keep attackers at bay, followed by (say) hold person, darkness, silence, or feeblemind on enemy casters. Cause Fear is a nice spell for either purpose, though it only affects one target. I also like casting a charm person on a Cleric: it not only saves you from a melee attacker, it also steals the players’ buffs for your own use. My general thought is that while invisibility is a pretty good spell, it’s a pain in the neck to run because you’re always sweating whether your next action will blow it. Any other thoughts on the Many versus One spellcaster thing? What am I missing? That'll teach you to try to escape from the Citadel of Defenseless Babies! Also there are many excellent posts by people successfully overcoming the disadvantage of not being me, including insightful analysis by ACKS lead designer Alex Macris and art by Ryan Browning like the awesome griffon above. If you read the Mule via Google Reader or similar subscription service and you haven’t added the Autarch blog’s RSS feed, what are you waiting for? In B/X, halflings are much like fighters, but with a slew of minor changes that seem geared to make them good ranged combatants. On the one hand, they get a bonus to hit with missile weapons, an initiative bonus and an Armor Class bonus against larger than man-sized creatures. On the other hand, they can only use weapons “cut down to their size” (limiting their offense in melee) and they use six-sided Hit Dice instead of the fighter’s eight-sided dice, making them more fragile than their human and dwarven counterparts. But in actual play? It’s all frontline halflings in plate mail, all the time. Your typical halfling warrior in plate mail, ready for action. The reason for this is an emergent property of the B/X rules for ability score adjustment (p. B6). Characters can drop points from some stats to raise a prime requisite on a 2-for-1 basis. And who has Dexterity as a prime requisite? Halflings. So everyone who plays a halfling trades away Intelligence and Wisdom to get an 18 Dexterity, which is impressive when a natural Dexterity score is rarely higher than 15. Combine that with plate mail and shield and you’ve got a base Armor Class of -1, which goes up to -3 against larger than man-sized creatures. The resulting survivability boost more than makes up for having one less hit point per level than the fighter. The first question here isn’t what’s to be done, but whether anything should be done at all. Is there anything fundamentally wrong with a party with a bunch of plate-armored hobbits anchoring the front line? If the players seem happy enough with the situation, it may be best to let them keep doing what they’re doing. 1) Disallow ability score adjustment, so halfling PCs are stuck with their initial dexterity roll. The downsides here are that this may be a case of taking out a housefly with a hand grenade if it’s the only problematic situation caused by ability score adjustment, and that a player who rolled a high dexterity can still choose to play a plate-armored halfling anyway; this makes the situation rarer but does not abolish it. 2) Put a limit on how much of a dexterity bonus a PC can get from heavy armor, like in later editions of D&D. So plate mail might cap the wearer at a +2 (or even +1) AC bonus from dexterity. This meshes well with the movement rules; if metal armor slows you down, it’s reasonable to think that it also makes you less agile in combat. 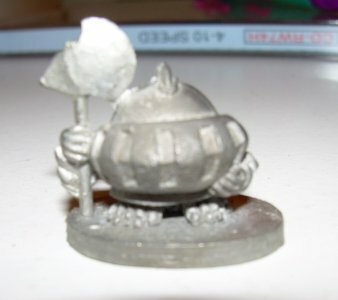 3) Remove plate mail from the halfling’s list of allowed armor types. This may have an overly negative effect on the halfling’s survivability, and unlike some other solutions, it requires grandfathering in exceptions to the rule for existing characters if you want to let them keep playing as they have been playing. But it has the advantage of matching the race’s original Tolkienian flavor; they’re not the sort to dress up like knights in full armor.